This classic War (the musical group) song came to mind after enduring the barrage of establishment media (and #NeverTrump’s) insults after last week’s summit between Presidents Donald Trump and Vladimir Putin. It’s evident from the over-the-top reactions of some in the political chattering class that being “friends” with Russia is not possible – or even desirable. The whiners and complainers acted as though Trump gave away the keys to the American military’s lockbox and set the tone for a surrender to the diminutive Putin and his pseudo-commie lackeys. Hardly; Trump was merely advancing the widely held and accepted notion that peace is a good thing. It’s hard to fathom how advocating for perpetuating and furthering tensions with a major nuclear power would be beneficial to the average American, yet if some of these media people had their way U.S. forces would be on the doorstep of the Kremlin hoping to get a clean shot at the Russian brain trust. “These theories can’t be wholly dismissed, even if some overheated versions get way ahead of the available facts. But their real shortcoming is that they are less plausible than the Aesopian explanation: This is who Trump is. Even if Russia hadn’t meddled in the election at all, Trump would still admire Putin because Trump admires men like Putin — which is why he’s praised numerous other dictators and strongmen. It’s curious how Goldberg characterized the Washington establishment’s drive to understand Trump as a “parlor game,” because that’s precisely what it is – like a bunch of political consultants and pointy-headed nerds with pens in their shirt pockets sitting around conference room tables trying to gauge what the president will do and say next – and being mistaken every time. Naturally when they’re wrong they insist on criticizing and poking fun at the amateurish way the DC newcomer chooses to conduct America’s foreign relations. 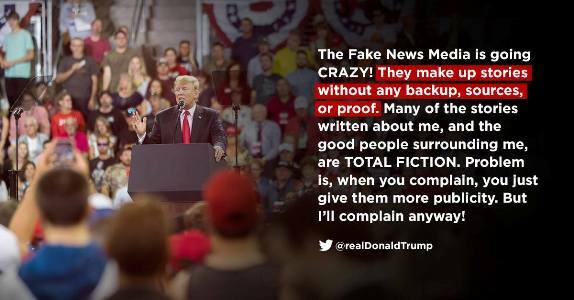 Trump doesn’t listen to the naysayers and their whining, of course; perhaps other than his rather defensive tweets there’s no evidence he pays them any mind whatsoever. No one’s perfect or infallible, but there’s nothing intrinsically wrong or dangerous with what Trump said in Helsinki. If the president admitted both sides spy, he’s right; and if he said both sides merit blame for the now tortured relationship between Russia and the U.S., he’s also correct. The Russia of today isn’t the Soviet Union of the 50’s, 60’s, 70’s and 80’s. People who pay attention to the details realize Russia’s economy can’t sustain a prolonged conflict with the west, and its military – though obviously still formidable – can’t match the technology and capability of the United States. European leaders cry foul at Trump’s insistence they pay their committed share for their own defense, but it doesn’t change the fact that but for its nuclear arsenal, Russia would be a completely toothless bear. For fans of “Rudolph the Red-Nosed Reindeer,” picture the abominable snow monster after Herbie the aspiring elf dentist removed all his incisors. The beast was pacified when it couldn’t sink its fangs into its prey. So is Russia today. Trump plays to Putin’s enormous ego in a belief that good personal relationships and dialogue among equals dampens the threat of war. Isn’t that what it’s really all about? The president is charged by the Constitution with keeping Americans safe and Trump is doing it. While it’s a fact Putin ordered aggressive measures in Crimea and Georgia in response to threats to Russian security there are no immediate signals he has designs on reestablishing the old boundaries and reach of the defunct Soviet Union. Ronald Reagan’s “peace through strength” policy brought the Soviets to their knees and almost three decades’ worth of semi-feckless U.S. leadership in the interim hasn’t restored them to the brink of invading eastern Europe. Additionally, with developed 21st century intelligence capabilities there’s no way Russia could amass a conventional force large enough for an invasion of a friendly country without the west knowing about it well in advance – at least providing an opportunity to organize a deterrent/counter force. Putin isn’t fooling anyone – and here’s thinking Trump knows precisely what he’s doing. It isn’t ego driving Trump (as Goldberg would have us think). It’s a time-tested personal philosophy that people who get along well and share things in common are much less likely to fire off missiles and want to kill each other. It’s not really all that different than the live-and-let-live view that’s a cornerstone of our Judeo-Christian heritage. Defend yourself at all costs – but if the other guy’s not intending to throw the first punch, then neither should you. What’s wrong with the concept of deterrence? Pushing buttons is a bad idea, just like admitting Montenegro into NATO was a stupid move. It was bound to antagonize Russia and do Americans really hope to send their boys to fight and potentially die over such a dubious threat? “The U.S. government is ready to send [troops to a conflict]. We've promised to do that. NATO was created almost 70 years ago for a specific and noble purpose, keeping the Soviets from invading Western Europe. It worked, thank God. With Trump’s new brand of leadership many folks are asking the same thing. For far too long conservatives and Republicans automatically went along with the establishment neoconservative whims in naïve conformity because they said America, as the world’s lone surviving superpower, must defend “democracy” everywhere it’s threatened. The results of such a policy have been disastrous, with over 25 years’ worth of non-stop military presence in the Middle East serving as a shining example of the mistaken impression the U.S. can be everywhere at all times. Largely unsupported by our so-called NATO “allies” George W. Bush invaded Iraq and captured the heinous thug Saddam Hussein. But no weapons of mass destruction were found there and the region has been rendered hopelessly unstable after Saddam’s death – torn between the remnants of the Sunni Muslim former rulers and insurgents and the Shia majority bolstered by Obama’s favorite dictatorship, the Mullahs in Iran. The situation is so upside down ancient enemies Israel and Saudi Arabia find themselves on the same side (against Iran). While no one would call them “friends”, why can’t the U.S. (under Trump) see its way to building relationships with “enemy” Russia that might nurture regional stability and more importantly, keep both Russians and American soldiers out of harm’s way? Every DC establishmentarian should answer the same basic question: would you send your son, daughter, nephew, niece, friend, co-worker etc… to fight and possibly die for Montenegro if Russia should invade that country? Who would feel like it’s worth the risk and sacrifice? Don’t be surprised when there aren’t many takers. Certainly the Paul (Ron and Rand) family has pressed forward the peace-is-better assertion for years. Sen. Rand Paul has been making headlines a lot lately for his defense of the rationale behind Trump’s visit with Putin. Pete Kasperowicz of the Washington Examiner reported, “Sen. Rand Paul, R-Ky., charged Thursday that hatred for President Trump that members of the Senate now seem more willing to risk rising tensions with Russia than to allow the Trump administration to continue diplomatic efforts with President Vladimir Putin. Paul’s speech was inspired by a resolution introduced by Sen. Bernie Sanders last week calling for the president to impose sanctions on Russia that Congress passed while also condemning the country for its election interference. Trump’s harshest critics weren’t limited to Democrats, either – Sen. John McCain got in his own special jabs as did Senators Jeff Flake and Lindsey Graham. McCain is sniping from afar these days (though he did praise Trump’s choice of Brett Kavanaugh for the Supreme Court vacancy). Trump did have his defenders among the Republican ranks too; the point is that advocating for peace, as Trump and Paul did, should not be considered such an “out there” proposition by the political class. One wonders why the preference for avoiding war is such a difficult thing to swallow for some politicians. In his day, Ronald Reagan was widely believed to be a warmonger because he talked tough (you know, “Evil Empire” and “We win, they lose”) but it terms of actual military commitments Reagan favored a much less belligerent approach. Reagan did send Marines to Beirut but withdrew them when he realized his mistake; he also supported covert operations in Central America to harass and stave off the growing threat of communism in the region; and Reagan used fighting forces to liberate Grenada. In the meantime Reagan stared Mikhail Gorbachev in the eye and put the Soviet Union on the road to collapse. Trump is following a similar path; he deserves credit for his approach and a chance to see it work. It’s heartening to see Sen. Paul backing Trump on the matter, but as noted above, the Paul family is famous for taking an alternative (to the GOP) tack on foreign policy. Jack Hunter wrote at The American Conservative, “[W]as Paul really ‘defending’ Russia? Was he even defending Russian meddling in U.S. elections? Or was he merely trying to pierce through the hysteria and portray American-Russian relations in a more accurate and comprehensive context—something partisans left and right won’t do and the mainstream media is too lazy to attempt? “Cutting through the crap on foreign policy is something of a Paul family tradition. Trump’s critics will continue hemming and hawing over his non-traditional approach to relations with Russia but he sets the policy and on balance it’s a sound one. Hopefully there will soon come a time when he won’t have to ask “Why can’t we be friends?” and face condemnation.